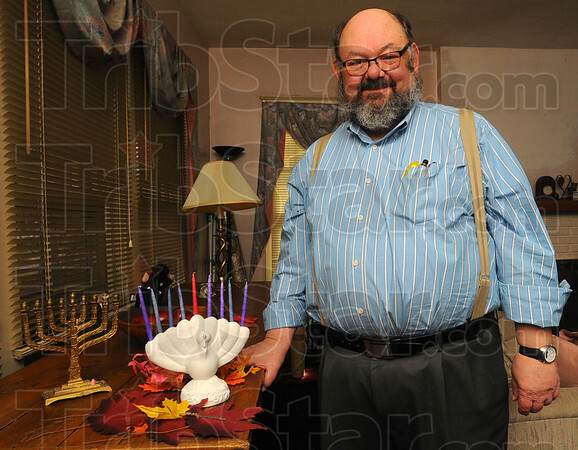 Rare occurrence: Herchel Chait stands by the menurkey in his living room. The convergence of Hannakkuh and Thanksgiving has given rise to the Plaster of Paris novelty. The last time it happened was 1888, and the next time may be more than 79,000 years from now. A traditional 8+1 candlestick rests beside the menurkey.